Do you have a loved one in a care facility? Is that loved one incontinent? You are not alone, in fact the CMS stated recently that over half of the population of care facilities experience some degree of incontinence. This means that there are lots of absorbent products used, and a lot of potential for mismanagement. 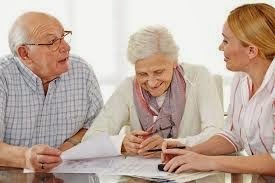 Because care facilities spend nearly 8 billion dollars a year on disposable incontinence products, taking steps to insure your loved one’s products are not mismanaged can help you, and other residents save big. What are some warning signs that the care facility is mismanaging absorbent product uses? The wrong supplies are being used. Bigger is not always better. One size does not fit all. Better fit provides better coverage. There are different products for different incontinence needs. Pads, briefs, pull-ons, and more. What is the care facility doing to determine which products best suit the needs of the residents? Easy or unrestricted access to absorbent products. If the absorbent products are not monitored, tracked, and recorded, it may be easy for theft to occur, misuse, the wrong products being used on the wrong people, etc. If there is not some kind of system in place this is a warning of misuse. Inconsistent monthly usage. While daily usage can vary slightly, the month to month use of absorbent products should remain very consistent. If there are big changes that can’t be explained (illness or injury may change numbers), this is a sign of mismanagement. Question it. Other treatment options are not being explored. While managing incontinence with disposable products is one of the first lines of defense, the care facility should be seeking alternative options, and be looking for the underlying cause of the incontinence. A treatment plan should be put in place to treat the cause, and hopefully eliminate symptoms. If you feel like there are warning signs of product mismanagement, there are things that can be done. 1. Request monitoring and records. The first thing you can do is let the care facility know you suspect a problem, and hold them accountable for the usage. Ask for records, logs, and other monitoring to insure your loved one’s absorbent products are not mismanaged. 2. Ask the care facility to provide you with a waste avoidance and management plan. Asking them to create a plan of action for avoiding waste can help them be responsible and more vigilant with their use. 3. Change care facilities. If after trying the other options you still feel the care facility is mismanaging your products, consider switching facilities, and carefully vetting absorbent product management when considering alternative facilities.